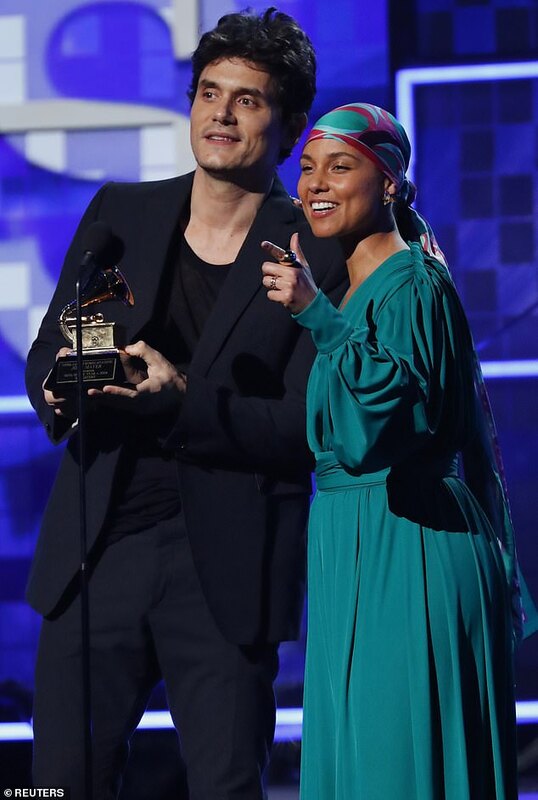 Alicia Keys and John Mayer share ‘joint custody’ of a Grammy Award. The Empire State of Mind hitmaker, 41, has won 15 of the coveted trophies during her career and though she admitted that’s ‘pretty cool’, she was convinced she would scoop Song of the Year in 2005, only for the honour to go to the Gravity hitmaker, 38. 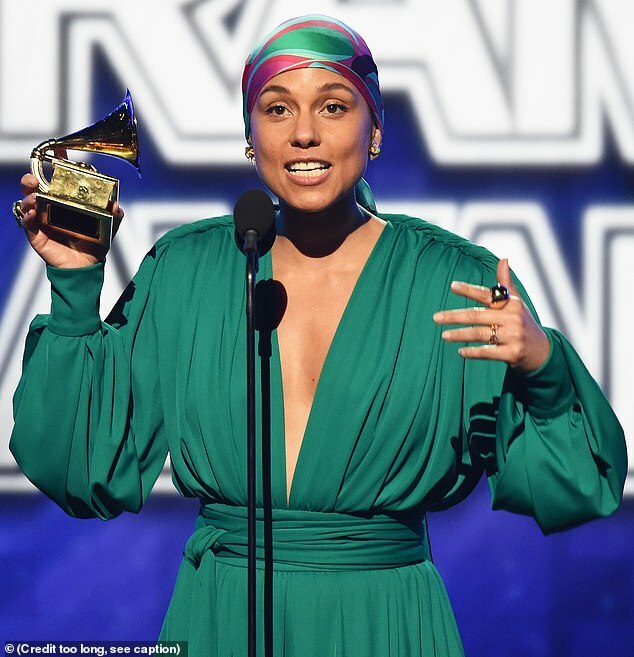 However, she revealed her story had a happy ending because John ‘literally broke the Grammy’ he’d received for Daughters so they could share the honour. 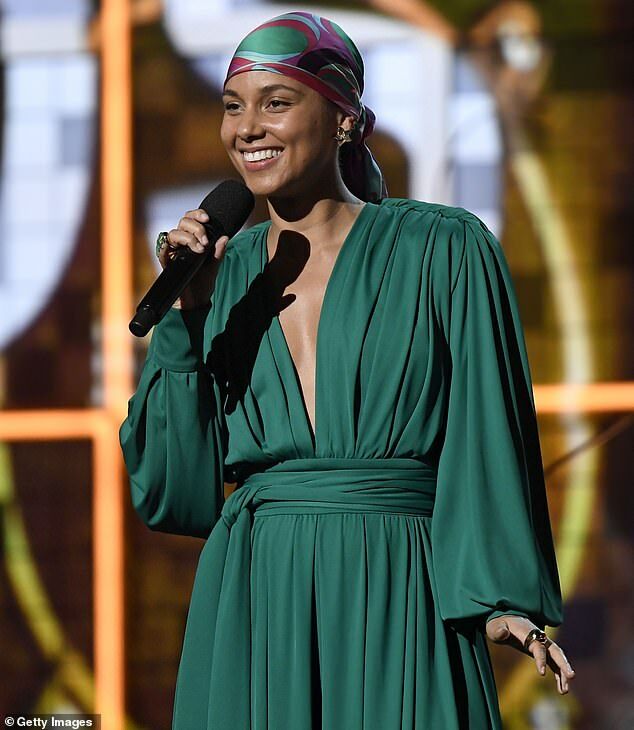 Speaking on stage at Los Angeles’ Staples Centre as she hosted this year’s Grammy Awards on Sunday, Alicia said: ‘I wanted to share with you a little story. I have been super blessed to win 15 Grammys. Pretty cool, pretty cool. 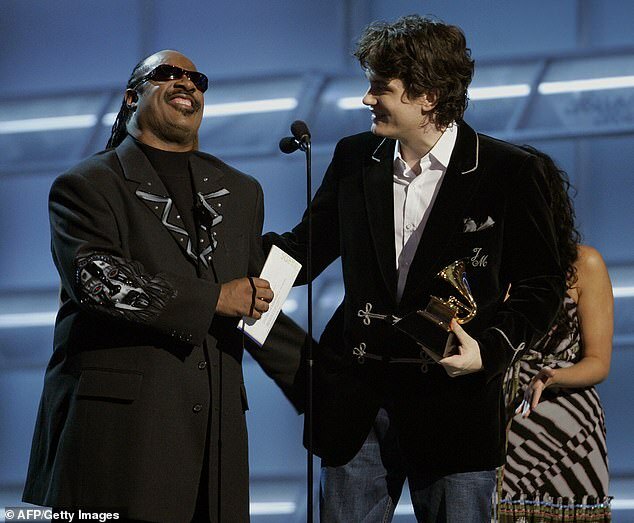 ‘And in 2004 I dreamed about winning song of the year for If I Ain’t Got You. 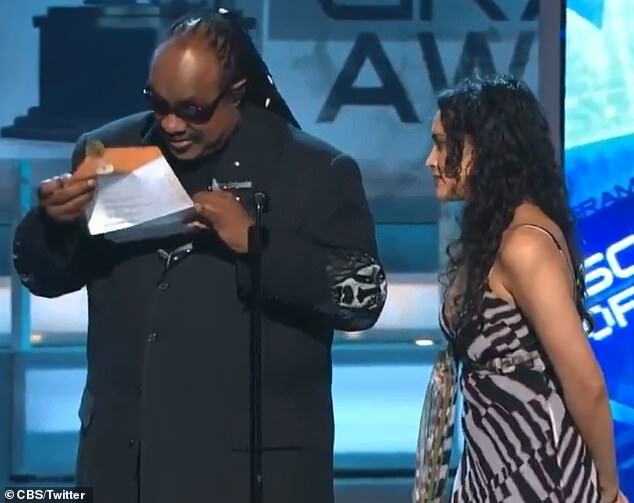 So, when my hero, Stevie Wonder, opened up that card and started to read in braille, I just knew he was going to feel my name. My name. 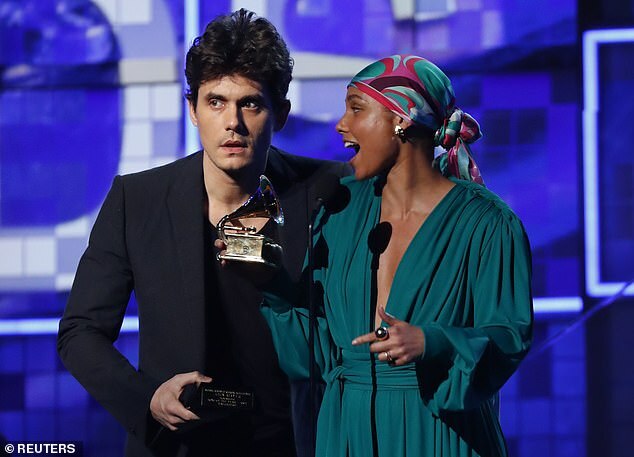 The pair then announced the winner of this year’s Song of the Year, which went to Childish Gambino – the first rapper to take the accolade – for This Is America.